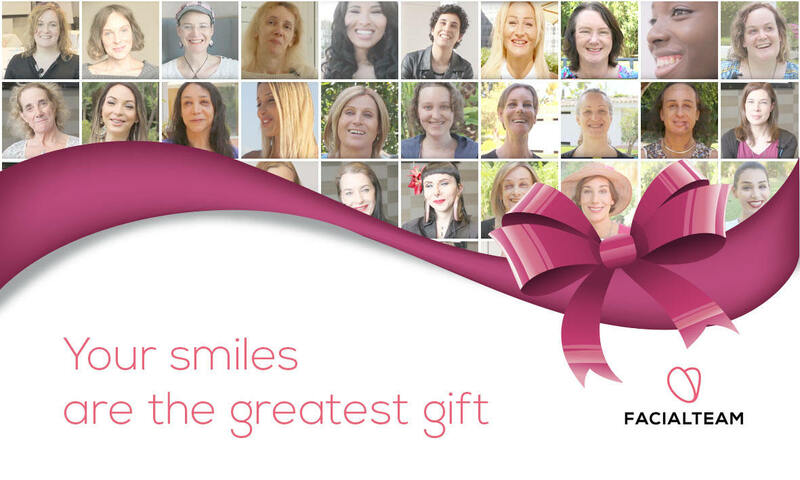 One of the driving forces behind FACIALTEAM is the wonderful feedback and smiles we continue to see, day after day. The positivity feeds our desire to continue to provide the absolute best in results and services to our patients, a group of very special people! Every journey follows a different path and we try to support every single patient through it. Facial Feminization surgery can be an important step in the way our patients feel within the society. Loving yourself is the key and much of that comes down to how you see yourself and believe others see you. That’s also one of the inspirations behind the design of FACIALTEAM’S logo. The best kept secret… What is the real meaning of the logo? Many hours of thought and consideration were put in to the design of the FACIALTEAM logo, a symbol which should epitomize what is at the core of our work ethic. It wasn´t easy to pinpoint this in a singular graphic presentation! The team directors, Dr. Capitán and Dr. Simon, worked at length for months alongside an art director to discover this tiny emblem that would become the coat-of-arms for what is a family of professionals dedicated to facial feminization surgery patients at every stage. Finally, a simplified symbol was chosen, which has grown to mean so many things. Hear it directly from our patients, but the representation and significance is as diverse as the community we have the great fortune to work with: a butterfly opening it´s wings, a seashell emerging, a tulip or rose blossom, two hands in a motion of support, one face coming out behind a mask and so frequently, a HEART. A symbol of affection, of caring which underlies everything FACIALTEAM does. It is our beacon and we are proud of the meaning it has grown to have in the hearts of thousands of people. Actually, the most beautiful part is that these hearts don’t see color, beliefs or politics… FACIALTEAM welcomes patients from all around the world. In 2017, the most frequent origin is ironically the furthest point from Marbella: Australia! Surprising how lots of australian trans women dare to fly hours to Spain for FFS Surgery with FACIALTEAM surgeons and even manage to take advantage sometimes to stay for a holiday during their preop time. 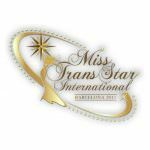 One of the many worries of people considering Facial Feminization Surgery outside of their home country is travel. It´s normal, especially when in a vulnerable state both emotionally and physically, to be concerned about the trials and tribulations of globetrotting for facial feminisation. In today´s political climate, many prefer to stay close to home. However, when it comes to choosing a surgical provider, sometimes the center of choice means hopping on a plane (or two). FACIALTEAM understands this well: having received thousands of people in their center as well as being frequent flyers themselves for the multiple orientation events organized on 4 continents in dozens of countries. This is why our coordination and postop protocols are finely tuned to make sure you are supported and cared for at every stage of the FFS process. Our decade of experience has helped us to learn what medical travellers need to make it feel like a home away from home, like an easy visit to a nearby seaside town. Part of our goal is to take the stress away from the FFS process, so you may concentrate as much as possible on what´s important now: you, your transition, and a quick recuperation. 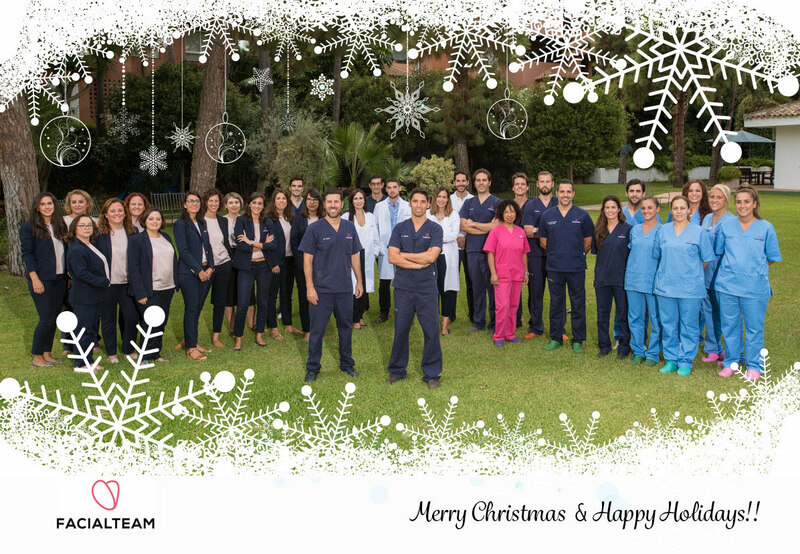 Although we like to take it even a step further, wishing you a restful, restorative time in which you will fondly remember, not only our team, but Marbella too.